HVAC is short for Heating, Ventilating, and Air Conditioning. In effect, a HVAC system covers everything from the air conditioner in your office to the large systems used in apartment blocks and industrial complexes. A good system provides thermal control, maximising comfort in the indoor spaces of the building. The guiding foundations of all HVAC systems are the principles of heat transfer, thermodynamics, and fluid mechanics. In most commercial buildings, you might see a big box either on the top of the building or sometimes on the sides. These boxes form the part of the HVAC unit that is visible. They serve skyscrapers, warehouses, apartment blocks, retail stores, and other large commercial spaces. One of the reasons air conditioner installation Sydney is important is that there are health regulations that require that the humidity and temperature of certain commercial spaces be kept at a particular level. However, HVAC systems may take up different forms. Still, it is important to note that their basic principles remain the same. This is to say that all types of systems, big or small, will then rely on similar principles for improving efficiency, for example. What is a HVAC system? Now that you have a basic idea of what the system does and what the word HVAC stand for, what exactly is meant with the words HVAC system? An energy efficient system has many moving parts. Breaking them down is essential to knowing how the whole works. Each system will have a thermostat that you will probably interact with more than any other part of the system. During air conditioner installation Sydney, the thermostat is usually put on walls where you can access it. It can be programmed or set manually to dictate the ideal temperature of your work environment. When the room temperature gets too cold or hot, it is the thermostat that is responsible for starting the HVAC system so that it can circulate air. The furnace, another component of the system is responsible for heating air. The warm air is transferred through piping or ductwork. During the hot seasons, it is another part that carries the muscle -the evaporator coil. Here, the air is cooled and funnelled to the rest of the system. When you look around your office space, you will likely see vents, and these, form part of the air conditioning unit. They work as outlets to distribute air that has been cooled or heated from the piping. In most cases, the vents are located near the ceiling. It is notable that there are many types of HVAC systems. Therefore, when you are considering air conditioner installation Sydney for your commercial space, it pays to know them. Still, regardless of type, the working principles are the same, and the parts are almost identical; only the scale changes per your building’s requirements. You may wonder why you would need an HVAC system in your office. If you live in a cold or warm climate, the system will help to produce cooling or heating as per the specific time. Consequently, you are able to enjoy a suitable work environment regardless of the changing seasons. Secondly, HVAC systems are built to afford you humidity control. They often have a dehumidifier, in addition to the cooling and heating functionalities. If you live in a very dry environment, this addition serves you well. Generally speaking, a HVAC system makes sure that you maintain the temperatures and humidity of your commercial space in a way that is not only economic but also effective. As a side benefit, you get to care for the environment. However, you must be able to choose the right system and the proper size to enjoy these benefits. Unlike the common cliché, bigger is not always better. If a system is too big for your commercial space, it will cycle its rounds quickly and cause too much cold, beating the purpose of air conditioning. 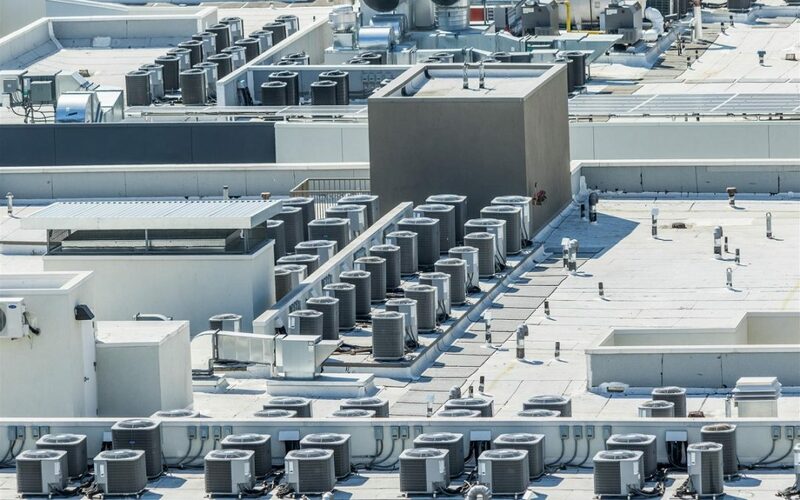 If you want to know what the right size is for your building, or you simply want a consult, contact the team at Apex Airconditioning to see how we can improve your current office air conditioning system.